Hurricane preparedness and our ability to warn the public of impending super-storms is vital to saving lives and lessening property damage. As we have seen in the past decade entire cities can be flooded with people stuck at the center because they were not given enough of a warning to take actions, leave their homes, or stock up on supplies. The first hurricane warning service was established in Cuba during the 1870s and used a series of observation sites to track clouds. Flags were raised to warn the public that a storm was imminent. The United States took over this system in the early 1900s and by 1955 the National Hurricane Center officially opened its doors in Miami, Florida. Over time our ability to track and predict storms improved with the use of Hurricane Hunters, planes that flew over storms, and later through satellites imagery to help issue more accurate public warnings. Today, once a storm is identified, the National Hurricane Center issues predictions every 12, 24, 36, 48, 72, 96, and 120 hours. Unfortunately our ability to accurately predict a storms path and intensity drops significantly after 12 hours. Next time you turn on the news when they are reporting on a hurricane you might see a series of lines scattering out all across the east coast. Once a hurricane hits a life-threatening situation begins to unfold as flooding, storm surge, high winds and tornadoes tear across the landscape. Taking actions and being prepared for the worst could possibly save your own life and those of everyone around you. 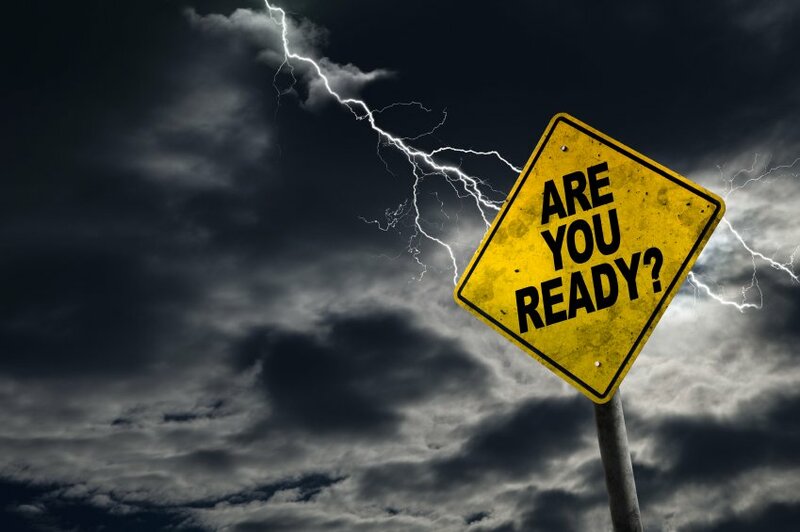 The National Oceanic and Atmospheric Administration outlines 7 basic steps to take when preparing for Hurricane Season. Determine your risk – What type of wind and water hazards could happen in the area you live? Develop an evacuation plan – Where is higher ground and is there a safe path not at risk of flooding? Secure an insurance check-up – Is your home, car, or other property covered in the event of wind or water damage? Assemble disaster supplies – Do you have extra cash laying around, flashlights, food and water enough for a week if the power goes out? Strengthen your home – Whether you stay or leave, it is advised that you board up windows and check that your garage door won’t break from high winds. Identify trusted sources of information – False information can lead to panic or missed opportunities to evacuate or gather enough supplies so always listen to official government sources like NOAA or a trusted local or national news outlet. Write up a plan – Know what supplies you will need and the numbers and locations of people before a storm hits, put it all on a piece of paper you can stick on the fridge or copy and give to neighbors or family. Thankfully canned food and closed water bottles, batteries, prescriptions or other medication and a first aid kits can be kept around for a few years or longer. So don’t think that if you go out and spend extra on your grocery bill that your emergency supplies are going to waste. So long as you keep a can-opener around, have a few extra tools like a wrench or pliers to turn off utilities, and a battery powered radio or solar charger you are on your way to riding out the worst mother nature can throw at you. Visit Ready.Gov to read up on how to create a basic disaster kit. In some situations you could be without safe water even after power is restored. As towns begin the cleanup process, having quick access to filtered water to prevent dehydration or getting sick when emergency services are working in a limited capacity can help contribute to a quick recovery and returning life to normal. You don’t need a complex filter system or electricity to make potentially contaminated water safe to drink. A number of manufacturers sell water systems that kill pathogenic bacteria and remove other waterborne contaminants in emergency situations. The Vapur 40040� microfilter filter fits .7 and 1.0 liters Vapur Water Bottles and traps up to 99.99% of contaminants and bacteria such as Salmonella, Cholera and E. coli, in addition to Cysts and Giardia. The filter last around 130 gallons. In an emergency situation it is recommend you have 1 gallon of water for each person in a 24 hour period. SteriPen offers a wide range of sterilizing devices that use ultra-violate light to kill pathogenic bacteria and other organisms. Purchase just the sterilizing pen or an entire kit that you can use with just about any 16 ounce water bottle to make water safe to drink. A personal water bottle filter system is great way to get clean water if you need to travel during an emergency. The Katadyn MyBottle Water Purifier removes all viruses, bacteria, cysts, and other impurities from freshwater sources such as lakes, ponds, or even your own faucet if you think flooding as contaminated drinking water. Hurricane preparedness can keep you and the people around you safe and healthy when the unexpected happens. We can’t fully rely on weather forecasts when even our most accurate predictions can be way off the mark. Waiting until the last moment to gather supplies can mean finding grocery store shelves empty with long lines to get a case of water. Gather supplies, keep a check list, and stay tuned into reliable new sources for the latest news and information about weather in your area. Correct. You should find a warning on the filter or in the original packaging that says something similar to the following: “Do not use with water that is microbiologically unsafe or of unknown quality without adequate disinfection before or after the system.” In fact, you should replace all of your filters following a boil advisory as a result of contaminants that may have gotten into the water supply and now may be in your filter. Typically, the concern following a flooding event is sewage overflow. The source of water for your local utility or your own personal well should be tested and deemed adequate for treatment. When treated, you should be able to safely consume that water and expect not to get sick. There are many factors that determine how water will be treated. If sewage does enter the water supply, the normal water treatment process may not be adequate to ensure water quality meets EPA standards. Simply stated, the utility does not design their systems to filter *raw sewage, industrial run-off or other potentially harmful contaminants because the process is much too complex and expensive. So they start with a more clean source of water. This isn’t to say your filter won’t make water safe to drink, rather the company who made your filter designed it to reduce or remove certain contaminants in drinking water that meets or exceeds the minimum EPA requirements. When water no longer meets EPA requirements they can not guarantee the filter would be effective. Are you saying the filters I get from you for my refrigerator will not provide safe drinking water when the water authority tells me to boil water?